Cannabis Canada: In the past, especially in dispensaries in cities like Toronto and Vancouver, you don’t really get to know where it’s coming from. They might put a name on it or some resemblance of a brand but there is little or no recourse for the consumers if there is an issue of quality. So ask as many questions as possible and find out exactly where it came from. In a country as big and sparsely populated as Canada, the online world is the perfect place to connect Cannabis Canada enthusiasts to a community that shares their interests. It’s ideal for bringing them together in conversations on key topics on how the culture should mature in the coming years. We want to foster a collective voice across Canada from P.E.I to British Columbia and all the way up north to places like the Northwest Territories. With this collective, we can grow a diverse like-minded community to promote a constructive, positive, fun, and motivated Cannabis community. Every patient has different needs and there is no one THC or CBD strain that fits all because cannabis effects are subjective. There are over 113 active cannabinoids within the Cannabis plant and with every day we’re learning more and more about them. Simply put, THC is the compound that is responsible for the “high” from Cannabis, it can have a number of effects on the human brain but generally, it relieves stress, promotes a bit of a giggle and will increase your appetite. Additionally, it has been said to help with chronic pain and anxiety with some users. CBD, on the other hand, is not psychoactive; it is known for providing anti-inflammatory and anti-psychotic relief. We’ve also seen the benefits in assisting with seizure reduction. Some go as far as to say it may have anti-cancer properties. 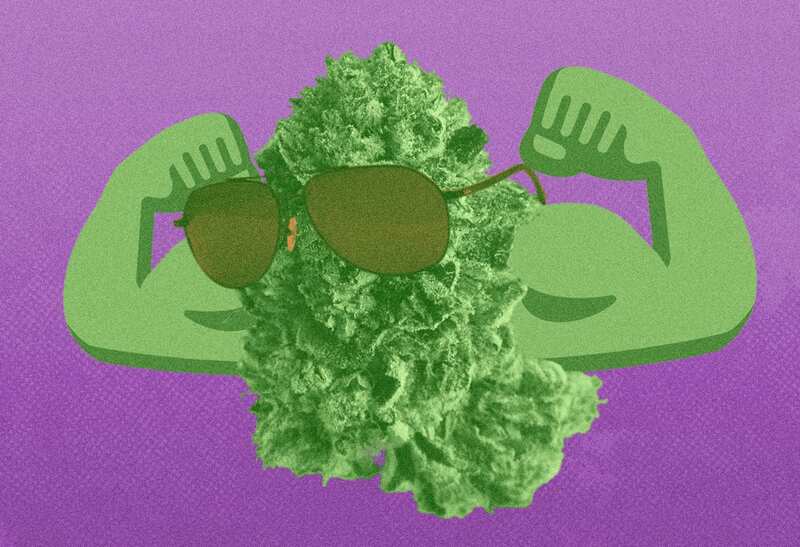 WHAT MAKES CANNABIS PRIMO? Growers with decades of experience. Producing premium Cannabis is a process that’s varied and nuanced, there is a level of detail orientation that needs to be achieved in order to get to the Primo level. A true quad with frosty crystals covering the sticky spongy buds with a perfect trim and the smell that just fills the room almost instantly, that’s Primo. Getting to this level of growth requires true hands-on experience, years and years of it. You can’t just read a book and learn this overnight. The best growers have been at this for decades already, refining their craft with every crop, improving the strain with every generation. It requires almost obsession-like dedication to get to this level, and before you even think about planting you have to have the right strains. Gorilla Glue and OG Kush are popular for a reason, people know they work and they work well. If you’re looking for the Strongest THC and CBD strains online then you HAVE to trust the provider. That being said, we here at Primo have spent the last few years leading up to legalization cultivating growers and doing research on the best Indica and Sativa strains available in Canada. Having a license to grow doesn’t equate to any actual knowledge, and likewise, if they have a farming background it doesn’t mean they have any experience growing Cannabis. To grow the Strongest Cannabis you need to have a grower with not only decades of experience but also a love of growing. They’ll have beaming pride about their facility and the weed they produce that’s infectious to be around. The cure is where you turn good weed into a true quad. The number one priority for a Primo grower is quality, after that then you can start to scale up the yield but without that initial level of quality, you might as well be growing in a ditch. A proper cure is essential to this; it dramatically increases the quality by converting leftover sugars in the flowers into THC compounds further upping the potency. We’ve worked with masters in this process and apply the lessons learned with them to what we accept from growers going forward. Just because the legal status of Cannabis Canada has changed doesn’t mean the principals that got us here should be forgotten. At Primo we want to continue that culture, its core is what defines our brand and our ethos. We believe that with legalization behind us it’s time to shine a positive light on the Cannabis industry and the culture around it, all while showing respect for the pioneers that paved the way for us.